Melt frosting in medium saucepan over low heat for 2 to 3 minutes, stirring occasionally. 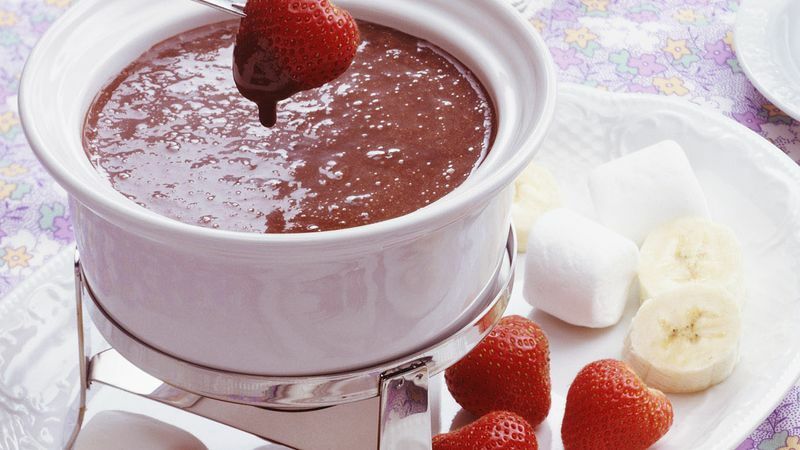 Pour into small fondue pot or heatproof bowl. Serve immediately. To serve, arrange dippers on serving platter or tray. Spear dippers with fondue forks or long skewers; dip into fondue.